Our nation's War on Drugs is much older than most Americans realize. Well before Richard Nixon and Ronald Reagan dispatched the DEA to stamp out drug trafficking, there was Harry J. Anslinger—the nation’s first drug czar—and the Federal Bureau of Narcotics. Before Pablo Escobar, El Chapo, and the cartels, there was Lucky Luciano and the Mafia. Come hear Matthew Pembleton tell the drug war's origin story. You'll learn about the nation’s first drug enforcement agency and its efforts to break up the Atlantic heroin trade in the years following World War II. 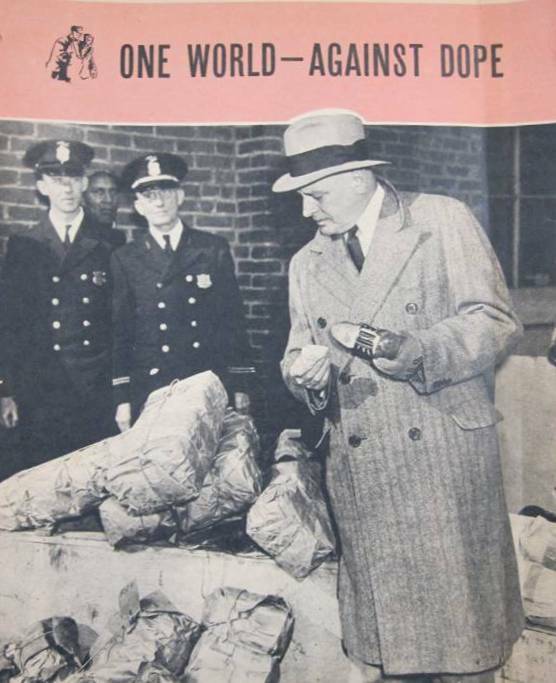 Skeptical of public health strategies to treat addiction, Anslinger and his early drug warriors believed that reducing the global supply of narcotics was the only way to defeat the dope menace. Over the course of the 1950s and 60s, the Federal Bureau of Narcotics extended the reach of its operations throughout Europe and the Middle East, and then into Southeast Asia, Mexico, South America, and other parts of the world, creating much of the modern DEA’s global footprint. The FBN’s influence at home was equally important as the public became increasingly intolerant toward drug use and crime, leading to one of the first major escalations in America’s long drug war. Just as shows like Narcos, The Wire, and Breaking Bad are incredibly popular today, the true-crime and police adventure stories about the FBN played a lasting role in shaping popular ideas about the nature of drugs, crime, addiction, and—in the end—American security. The little-known history of the FBN set the stage for the subsequent drug wars of Nixon and Reagan, and offers unique insights into the drug crisis of today.